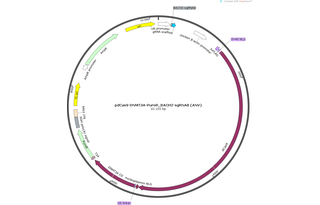 The plasmid is derived from Addgene plasmids #35521 and #48141. 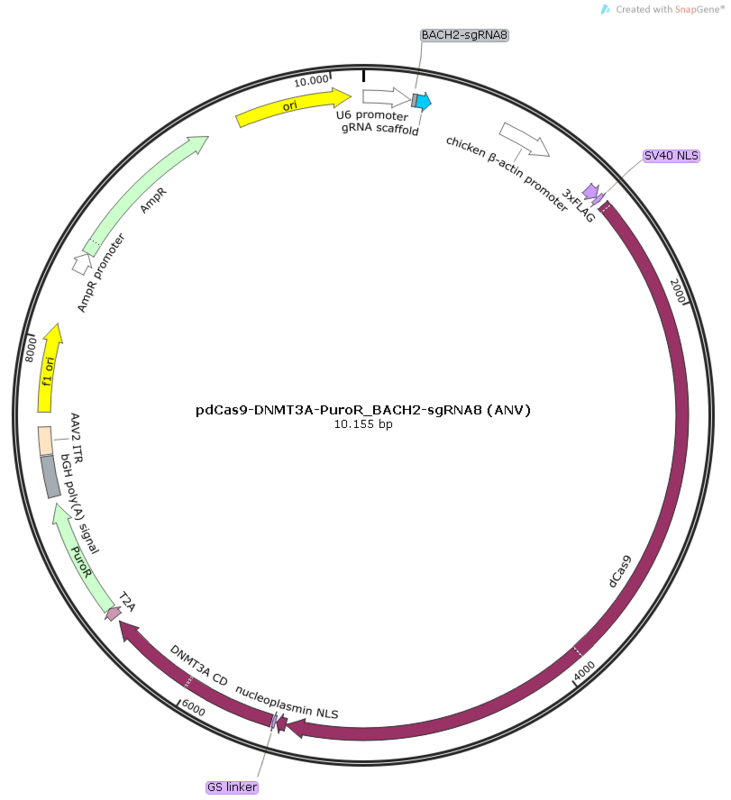 The catalytic domain of human DNMT3A (amino acids P602-V912) was derived from the plasmid pcDNA3/Myc-DNMT3A (Addgene, plasmid #35521) (Chen et al., 2005, J Cell Biochem 95: 902-917). Undesired BbsI restriction site was removed by site-directed mutagenesis, without affecting the amino acid sequence. The DNMT3A active site motif ENV was mutated to ANV (E756A). 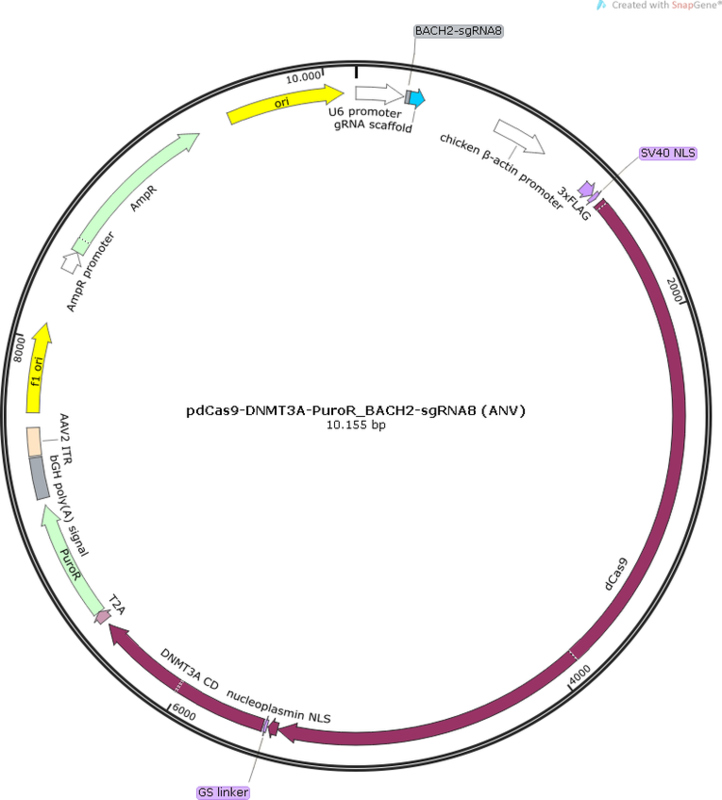 Plasmid pSpCas9n(BB)-2A-Puro (PX462) (Addgene, plasmid #48141) (Ran et al., 2013, Nat Protoc 8: 2281-2308) was used as a backbone. Additional H840A mutation was introduced into Cas9n D10A nickase. BACH2sgRNA8 is cloned between BbsI restriction sites.